With 2017 finished, and Ryzen being very successful for AMD, the inevitable question was due: what happens next? 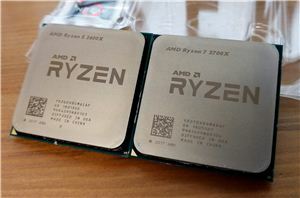 Early in 2018, the plans were laid bare: a second generation Ryzen processor was set to come in mid-year, followed by a second generation Threadripper, using GlobalFoundries’ 12nm process. This is not AMD’s next big microarchitecture, which we know is called Rome (or Zen 2) on 7nm, but an opportunity to launch a wave of components with minor improvements and take advantage of a manufacturing process that gives more frequency and more performance. Today AMD is launching four CPUs, and we have tested them all.